These portable whiteboards enable students to follow along with lessons and sketch out ideas in their own way at their own pace. 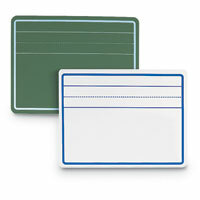 In addition, the compact, easy-to-write-on designs allow teachers to provide individualized instruction in smaller classes. 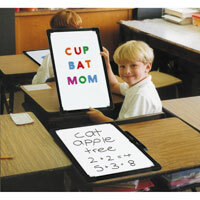 Stock up on Lap Markerboards for your school classroom to make the learning process as interactive and engaging as possible for every student.